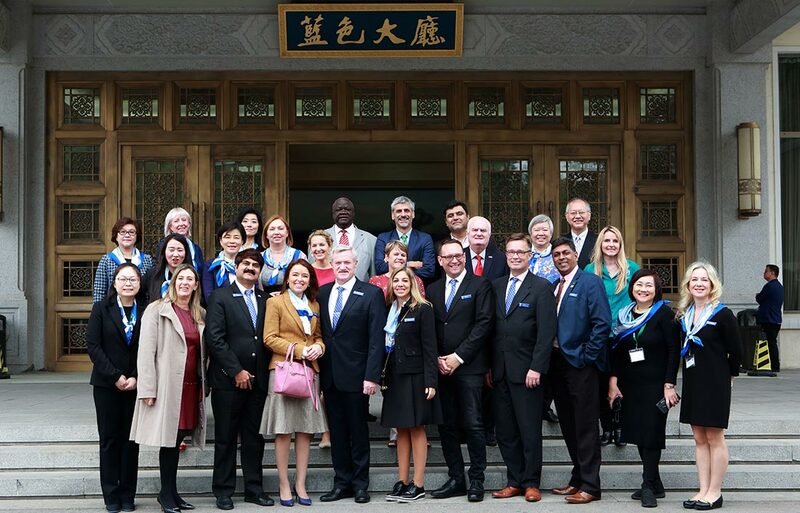 I recently attended the 101st World Packaging Organisation (WPO) Board Meetings which were hosted by China National Export Commodities Packaging Research Institute (CEPI) in Jinan, the capital city of Shandong, China. Shandong, with a history of more than 5,000 years, is considered one of the birthplaces of Chinese civilisation including Confucius and is often called the ‘Spring City’ for its famous 72 artesian springs. Over 30 WPO Member countries were represented during the week; a week which consisted of an International Green Packaging Summit hosted by CEPI, World Packaging Organisation Board Meetings, judging for the WorldStar Packaging Awards, WPO Sustainability, Education and Marketing committee meetings, an informative site tour of the Labthink main head office and networking events with the local packaging industry. The week was made all the more memorable with the generous sponsorship from Labthink who celebrated their 30th anniversary this year and who looked after the WPO Board Members for the entire week. With over 300 people in attendance the International Green Packaging Summit covered topics such as Sustainable Packaging, Food Waste, Save Food Packaging Design, Packaging and the Circular Economy, Green Packaging, Energy and more. Pierre Pienaar FAIP, CPP, President of the WPO and AIP Education Director opened the conference and helped set the scene for the global packaging industry. The local packaging community had the unique opportunity to hear from a number of WPO representatives which enabled them to attain a global understanding of these most important topics. Pierre’s presentation also highlighted how the WPO is a key link in accessing the wider global packaging community. I was personally interested in hearing about the Green Development Strategy for China and how companies like Alibaba have a ‘2020 green logistics blueprint’, Beijing INCOM have developed the intelligent packaging recycling machines, how green packaging has replaced packaging as a necessity in China and the importance of working together globally to develop a more sustainable packaging future. Should we consider global rebates for collection of packaging materials? What true value-added incentives are there for companies? What is the sweet spot for creation of optimal Sustainable Packaging Design? Is the current approach and definition for circular economy too narrow? How do we also discuss repurposing? Packaging recyclability does have an end of life and we need to review what happens once packaging can no longer be recycled. It is critical that we must be able to measure the positive (protection) of food in packaging. This is a global problem, not a country problem and we must all work together to find the solutions. A highlight of this event was when our very own Packaging Innovation & Design Award Winners Fresh Technologies/Sealed Air and Woolcool were recognised as Best-Practice Save Food Packaging Designs. A proud moment I must say to know that 300 people from the packaging industry in China heard about two amazing innovations from Australia and New Zealand and that they were being recognised globally. One day of the WPO biannual meetings is focused on committee meetings that discuss education, sustainability and marketing. These meetings allow all of the country members from across the globe to discuss their own initiatives, learn from others and also develop global strategies for the WPO. 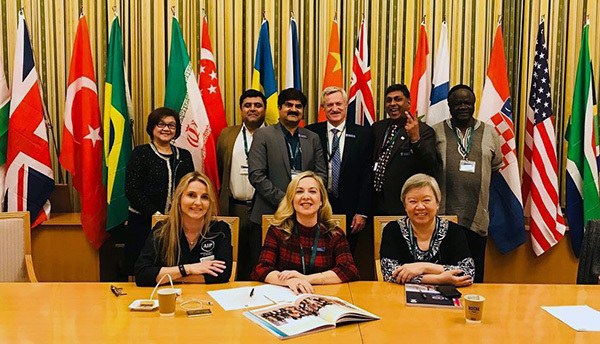 A key outcome from the education meeting included the AIP becoming the liaison between the IoPP in the US and all WPO member countries rolling out the global Certified Packaging Professional (CPP) Program for their region. I was asked to be the point of contact for each country rollout due to the work the AIP has already undertaken over the last few years for our own CPP program. I am pleased to advise that we have already started work with Nigeria and South Africa on their programs. Countries to follow will include Spain, Brazil, Turkey and Kenya. The long-term objective is to have all WPO Member countries encouraging their local members to attain the Certified Packaging Professional designation which will ultimately lift the level of professionalism, skills and expertise globally for packaging designers and technologists. We look forward to seeing the growth of this program across the world. An outcome from the Sustainability committee meeting is that the AIP will be working on the development of the Save Food & Sustainable Packaging Design Pavilion at Interpack 2020 with the wider team led by Antro Säilä from Finland. As the AIP have led the development of Save Food Packaging Design Awards globally it is only apt that we have been given the opportunity to contribute to the new pavilion layout, design and case studies posters for the Save Food program. This is an exciting project that I look forward to reporting further on as it progresses. The 101st WPO Board Meeting was only the second meeting that I have attended as the ANZ Board Member so it was great to see such passion and genuine love for packaging across the globe. Even though I am new to the Board I was invited to present the ideas from the Sustainability Committee regarding the Interpack Save Food & Sustainable Packaging Design pavilion which was a great personal development moment. Much was discussed during the board meeting covering everything from global education training programs, the roll out of the CPP program, improvements to the WorldStar Packaging Awards, the plans for Interpack 2020, speaking opportunities for WPO Board members and a calendar view of packaging activities across the globe. The WPO now has 54-member countries and continues to grow and expand their reach and has a great Public Relations and Communications program to ensure that not only the WPO’s activities and programs are being recognised and promoted wherever possible, but also the member countries. What was possibly the longest and most difficult day during the week was the judging for the WorldStar Packaging Awards. As a first time judge I soon realised that all of the entries have actually been recognised by experts within their fields in their domestic awards programs and are already winners of innovative packaging designs. The depth of entries and the amazing innovations I saw during the judging were extremely encouraging and I look forward to speaking about some of the stand outs once the judging has been finalised. I would like to extend the AIP’s sincerest thanks to WPO Member Country and host for the week, China National Export Commodities Packaging Research Institute (CEPI), as without them the event would not have been so successful. CEPI was founded in 1974 approved by the former Ministry of Foreign Trade and Economic Cooperation. CEPI is responsible for packaging technology research, packaging standardisation, packaging experiment and testing, packaging designing and consulting, international cooperation, green packaging alliance, military packaging services, information and consulting and the academic journal ‘Green Packaging’. Packaging and Environmental Standardisation is a key component of CEPI’s work and they continue to develop research of packaging standardisation and draft national and industrial standards as well as undertake the domestic and international operation of standardisation in the domain of packaging. A special thank you must go to our host Sabrina Zhaou and her amazing team who were there for all us at every turn. I have taken a lot away from the week and what struck me most is that we have so much to learn from each other and developed countries like Australia and New Zealand, have a responsibility to help the developing countries wherever possible with their packaging education and training. I truly believe that the global packaging community can be stronger if we work together. I look forward to being a long-term contributor to the WPO and I am excited about AIP’s future contributions to the global packaging community. I encourage all of you to join the WPO Linked In, Facebook and Instagram social media pages so that you too can become a part of the global packaging community.